Whether you are a photographer who wants to put a copyright note on your pictures or you are a marketing manager who wants to put a brand logo on a picture, you will need a watermarking software to do so. There are hundreds of options when it comes to watermarking software. However, most of them are not available for free or they only offer a very short trial period of 7 days to one month. The watermarking tools below are either completely for free or the producers offer a free (limited) version as well as an option to buy the full software. 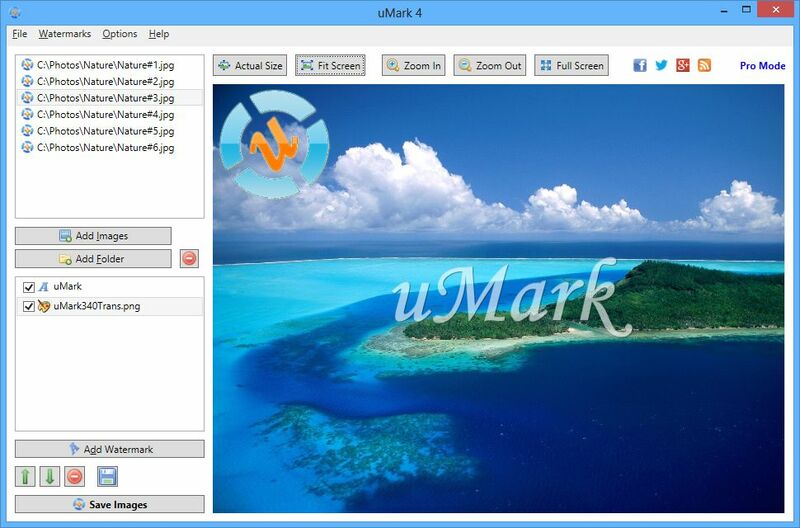 PicMarkr is an online tool to watermark your pictures for free. You can watermark pictures from your computer or you can choose from your Flickr, Facebook or Picasa pictures. There is no need to download any software as the entire process is web-based. 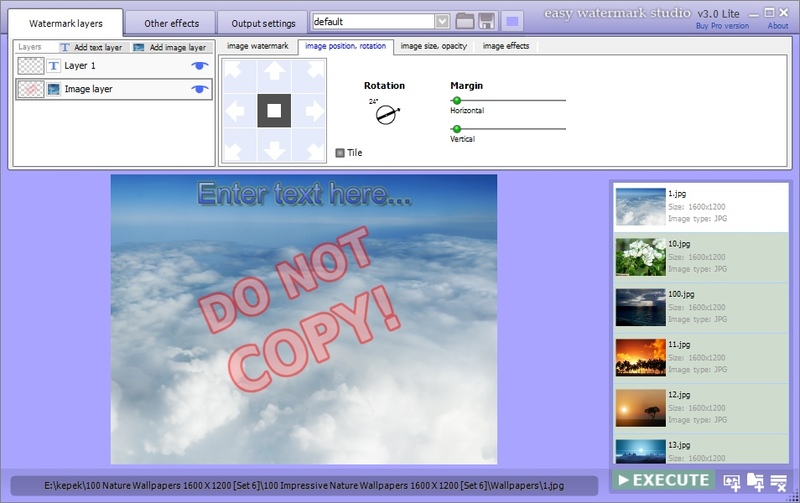 The Easy Watermark Studio is available for free in a limited version. 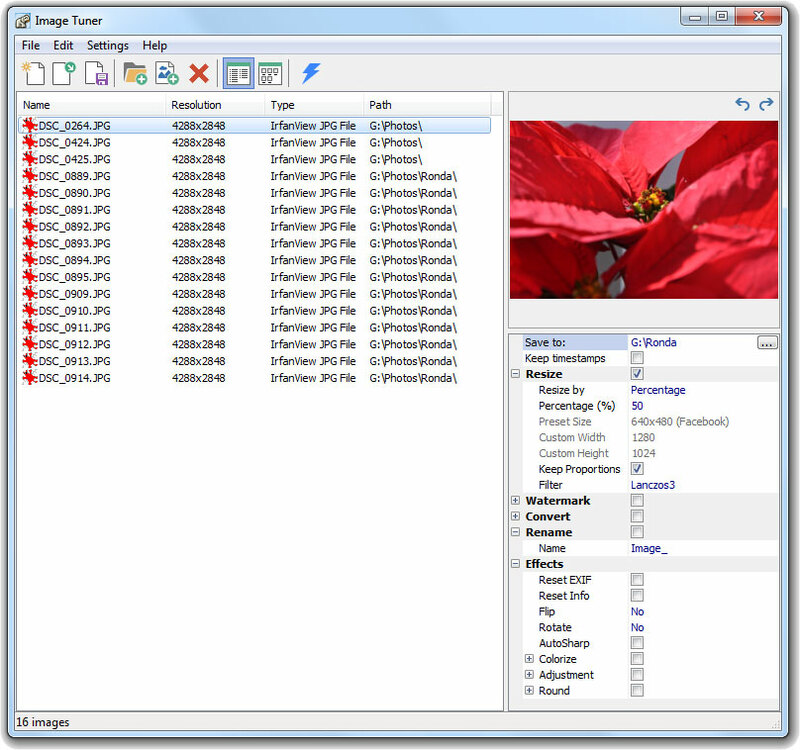 The main limitation of this watermarking software is that it only supports 3 image file types (JPG, BMP, TIFF) in the free version. 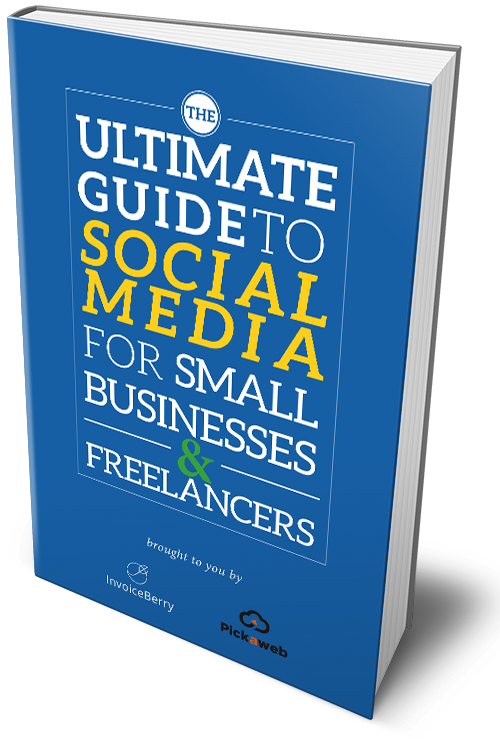 The paid version is $24.99 and supports over 20 image file types. You can either get the free version with a few limitations or the TSR Watermark Image Pro version for $29.95. The free version is for personal use only and comes with no online support. The Pro version also allows you to add multiple watermarks and destinations in one batch. 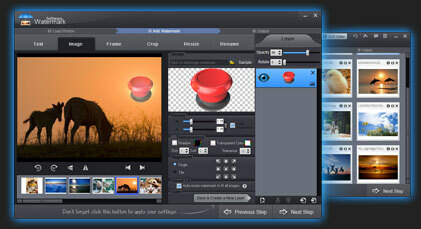 Image Tuner is a completely free photo watermarking software by glorylogic. On top of watermarking your images you can also resize, rename, adjust and convert them. It supports all common image file type such as JPEG, GIF, PNG and BMP. It is also an extremely small download and uses only a small percentage of your computer’s CPU resources. 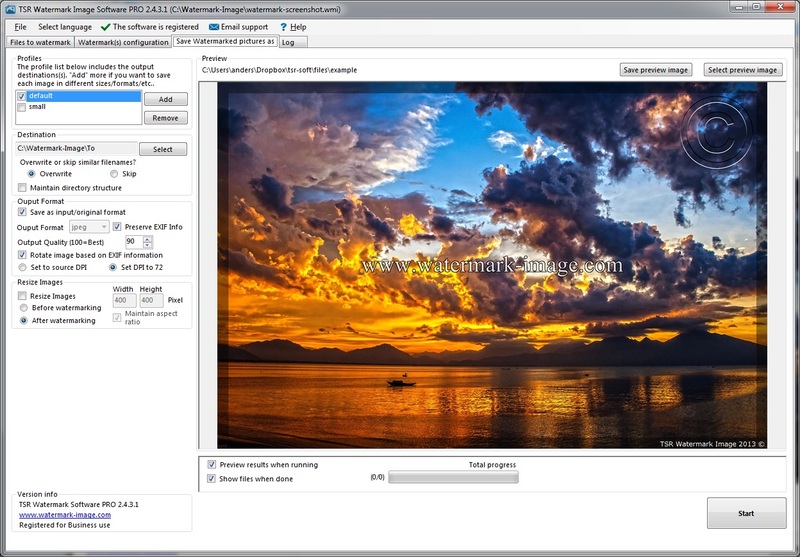 ImageBatch is another completely free photo watermarking program. It is extremely fast to download due to its small size of less than 400kb. 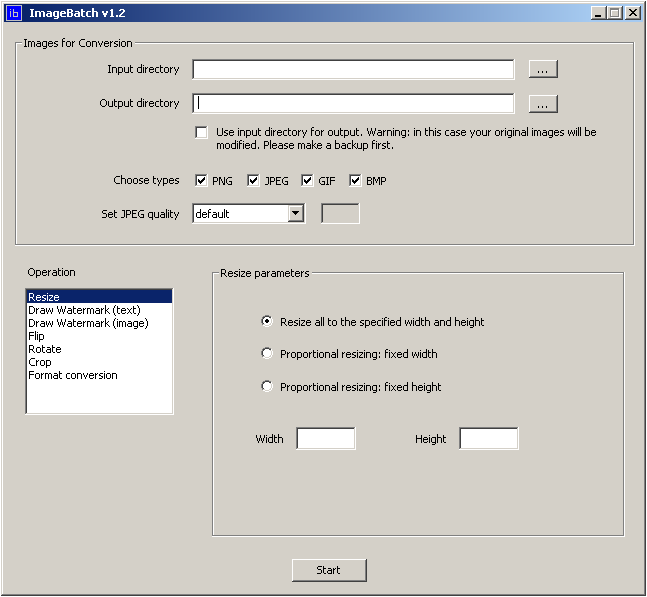 You can not only use ImageBatch to watermark your photos but you can also crop, resize, flip and rotate your pictures. It supports the JPEG, PNG, GIF and BMP file formats.